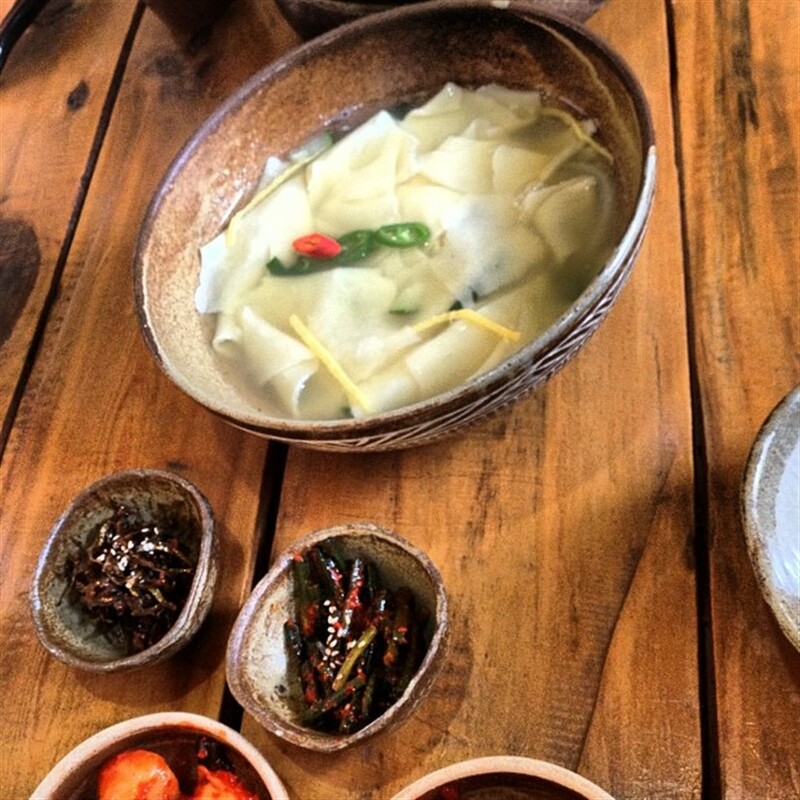 Sujebi is a traditional Korean soup made from hand-torn noodles. It is also known as ‘milgaru ddeudeo guk’ in North Korea. 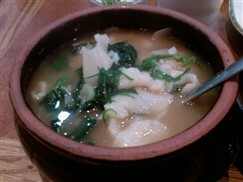 The flavour and recipe of Sujebi is similar to that of Kal-guksu. Sujebi used to be a meal for the poor who couldn’t afford rice. Most Koreans still like to take this meal to remind them of the lean years. The noodles are made from flour seasoned with vegetable oil and salt. Some chefslike to add grated potato to give the noodles a chewy texture. The flour ismixed with water and mixed. The dough is usually wrapped in a cling film andleft in a refrigerator for a while. The broth is usually made with anchovies, onions, soy sauce, dried kelp, garlic,salt and various vegetables of choice. As with most Korean recipes, the brothingredients can be modified to create a unique recipe. The dough is torn withhands, flattened and dropped into the simmering broth. The noodles will floatto the surface when properly cooked. Depending on preference, Kimchi can be added to the broth or served as a side dish.